This story has been co-published with USA TODAY. 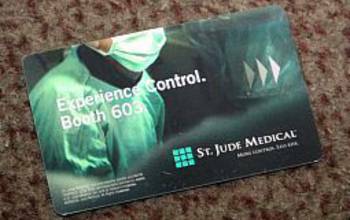 St. Jude Medical adorns every hotel key card. 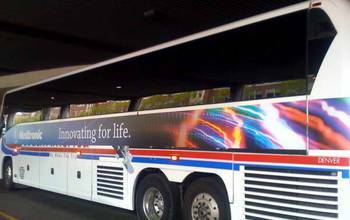 Medtronic ads are splashed on buses, banners and the stairs underfoot. 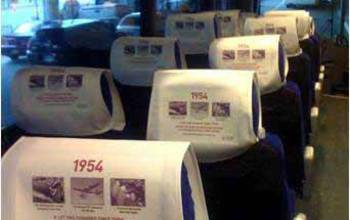 Logos splay across shuttle bus headrests, carpets and cellphone-charging stations. 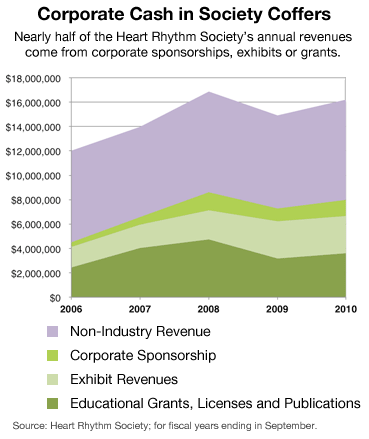 These slides show "promotional opportunities" – and their asking price – that the Heart Rhythm Society offered to medical industry sponsors at its 2011 conference. Not everything was sold. Source: www.heartrhythmsupport.org/sponsorships. See our interactive graphic. 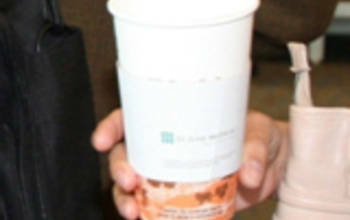 "Witness first-hand the exposure coffee cup sleeve advertising can provide for your company." "Attendees will have the added convenience of easy-to-access email and Internet stations." "Attendees can’t miss your prominent corporate or product logo on these directional signs in high traffic areas throughout the exhibit hall." "Maximize your company’s brand recognition on the exhibit floor with Exhibit Hall Carpet Logos." 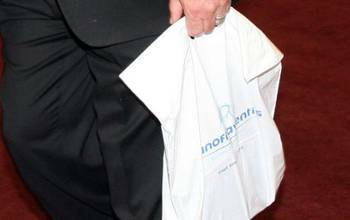 "Attract high visibility throughout the convention center and beyond as attendees find multiple uses for the exhibit hall literature bag." "Your company's welcoming gesture is a lasting impression on the minds of Heart Rhythm 2011 attendees as they wind down after a busy day." 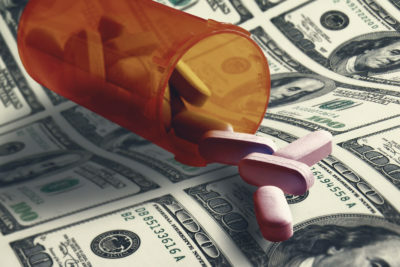 "A key ingredient to your marketing success! 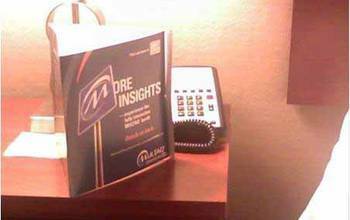 These room keys travel with over 7,000 attendees for four days." 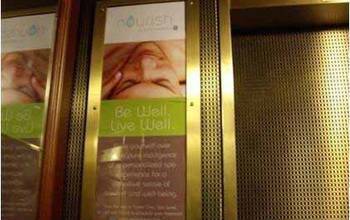 "Elevator Advertising provides great visibility to a captured audience for your printed corporate name or product and expose for your company’s message to attendees." 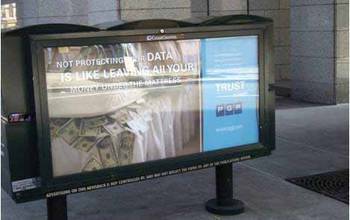 "Digital advertising offers high visibility in lobby and meeting room areas at the San Francisco Marriott Marquis and Hilton San Francisco Union Square." 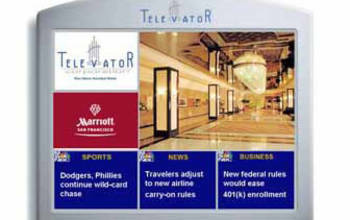 "Exclusive to the headquarter hotel, the San Francisco Marriott Marquis offers 21st century digital messaging capabilities." "Assist attendees as they navigate through four days of educational content before, during and after the annual meeting." "Attendees will be flying in from all over the country and abroad and San Francisco International Airport will be bustling with excited attendees." 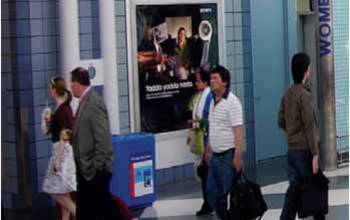 "Newspaper rack advertising is available around the Moscone Center and throughout San Francisco downtown area." 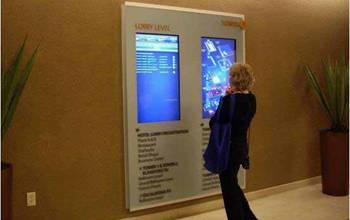 "Help attendees tour San Francisco with ease! As the sponsor, your company will be an assistant tour guide." "Saddle banner ads always add a look of interest to the Scientific Sessions." "Shuttle buses will travel from various hotels to the Moscone Center." 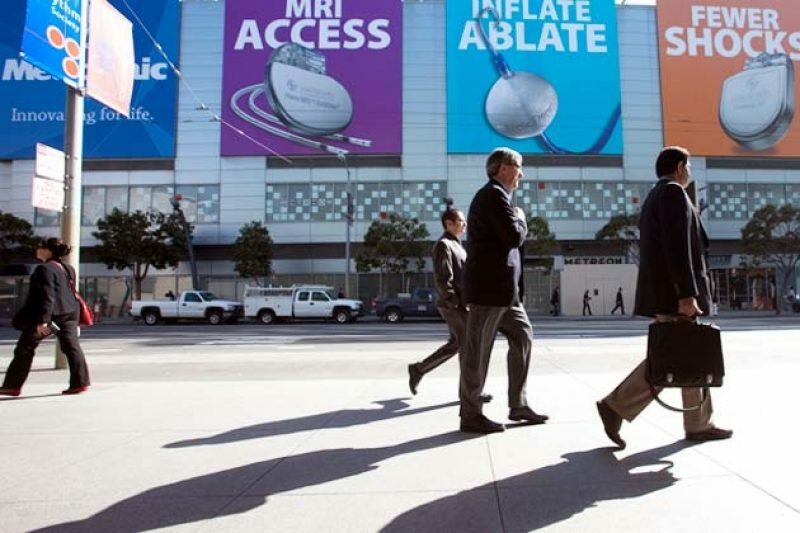 "This is a rare chance for product advertising as attendees relax in a captive setting." 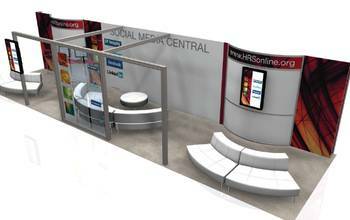 "The Social Media Center will be utilized by thousands of attendees to express their thoughts and comments on the sessions, exhibits and meetings held during Heart Rhythm 2011." 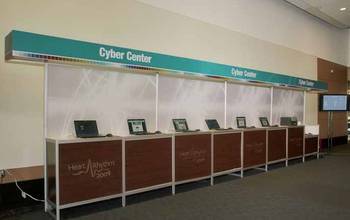 "The Link will allow attendees to relax and stay connected during Heart Rhythm 2011, offering comfortable seating and access to the internet through their laptop(s)." "Water bottles are served as daily refreshment during the breaks inside the exhibit hall." "These water stations will be strategically located throughout the Moscone Center, ensuring presence throughout the facility." What's Your Opinion? Vote on Facebook.